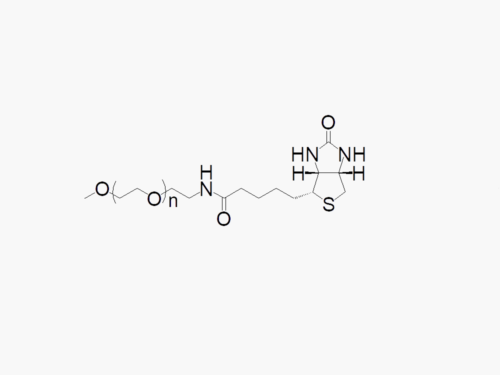 Biotin Linear PEGs from JenKem Technology are convenient PEG reagents for PEGylation of avidin or streptavidin containing products. Biotinylated PEGylation products with molecular weights, branching, and functional groups not listed in our online catalog may be available by custom synthesis. Please inquire at tech@jenkemusa.com about pricing and availability of custom PEGylation products.